We have recently had the opportunity to revisit the City of London Conservation Management Plan which we wrote with Alan Baxter Associates in 2004. 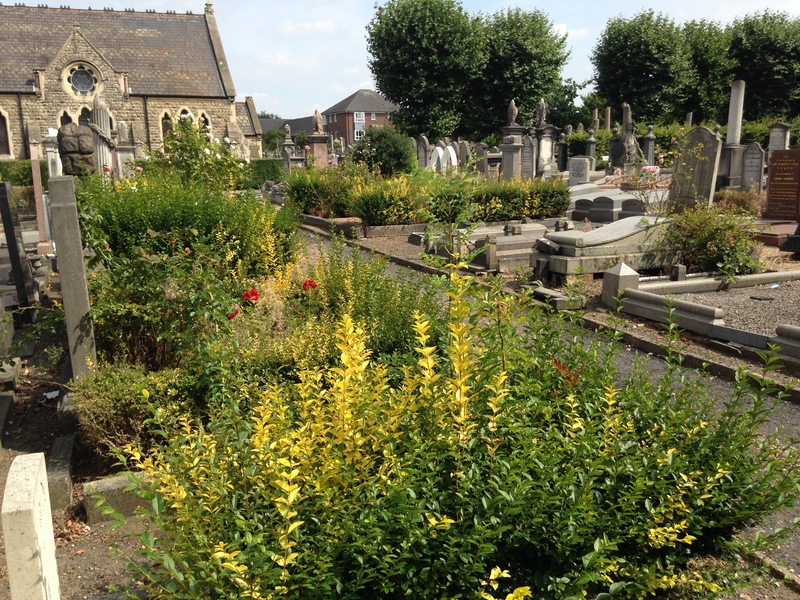 The Cemetery is one of the most important and most successful in the country and we are glad to report that it is thriving. 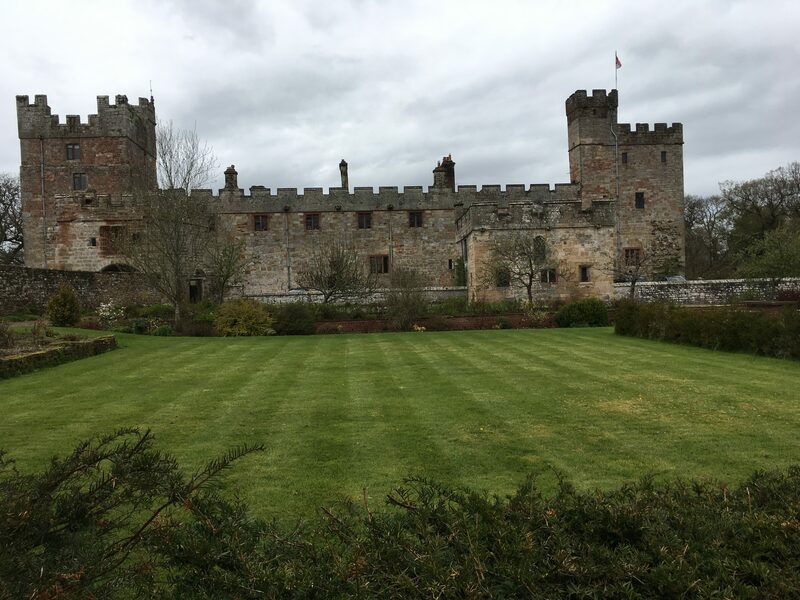 We have just completed a brief survey of the garden at Naworth Castle, which has an extraordinary history dating back to the Renaissance and including a late C19 phase when it was a remarkable Arts and Crafts garden, where Morris and Burne-Jones among many others enjoyed the hospitality of George Howard, the artist and 9th Earl of Carlisle, and his redoubtable wife, Rosalind. 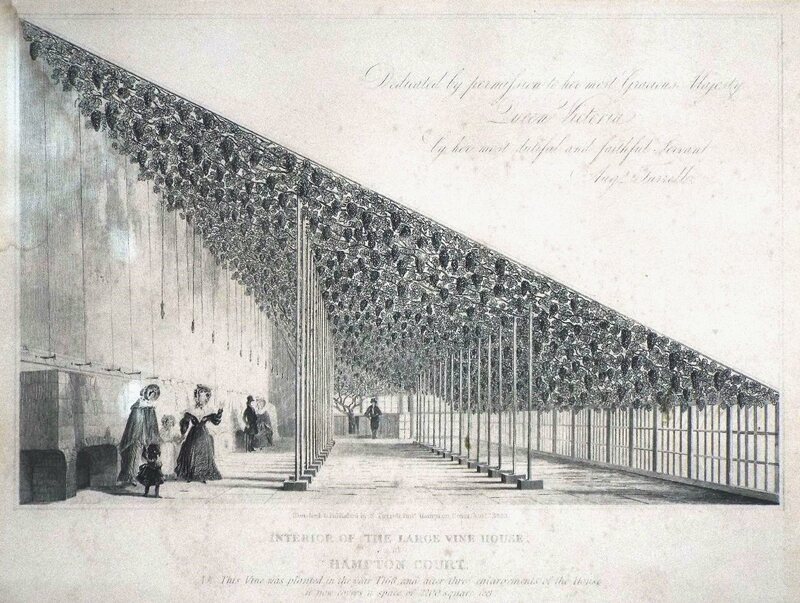 We have completed a short history of the Great Vine at Hampton Court for Historic Royal Palaces, as part of the 250th anniversary celebrations of this extraordinary plant, the first vegetable celebrity. We hope that later in the year, HRP will be considering replacing the current 1969 aluminium structure with a new vine house. 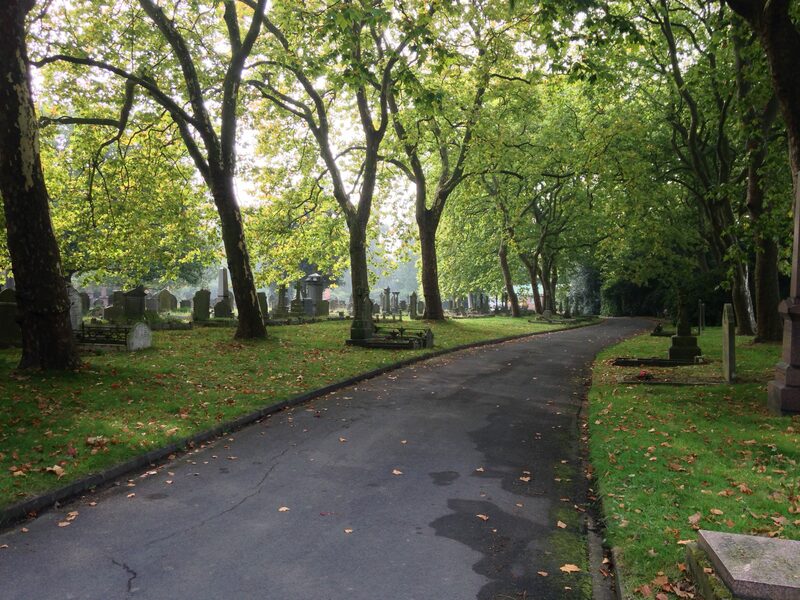 Willesden has been described as the Rolls-Royce of London's Jewish cemeteries. Its heritage has been largely overlooked as it has quietly continued with the business of providing for the bereaved., but following the bold decision of the United Synagogue to apply for HLF funding in 2015, we were appointed in 2016 to prepare a Conservation Plan for the Cemetery, working as part of a team led by Richard Griffiths Associates. The main buildings and a number of monuments have now been listed and the cemetery added to the Historic England Register, and in January 2018 the HLF awarded the United Synagogue a Round 2 pass. In reality, these two spaces form a single park, laid out together to designs by Edward Milner. Two substantial grants from the HLF allowed for high quality design and materials; restoration of park buildings, balustrades, urns, seats, paths, and feature gardens to a high standard, along with an award-winning new pavilion designed by Ian McChesney. David suggested the unique cast-iron bamboo fencing to the Japanese garden, supplied by Lost Art. The approach to Preston by train from the south provides a bird’s eye view and demonstrates the glow that gravel paths, rather than tarmac, give to a landscape. 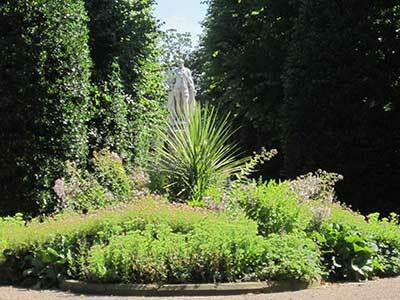 The reinstatement of Milner’s shrub-planting, with its intricate bays and promontories, is particularly beautiful. David pushed hard for the restoration of the extraordinary Pulham grotto built into the railway embankment along the boundary of Miller Park, now revealed in all its glory and reintegrated in the park. 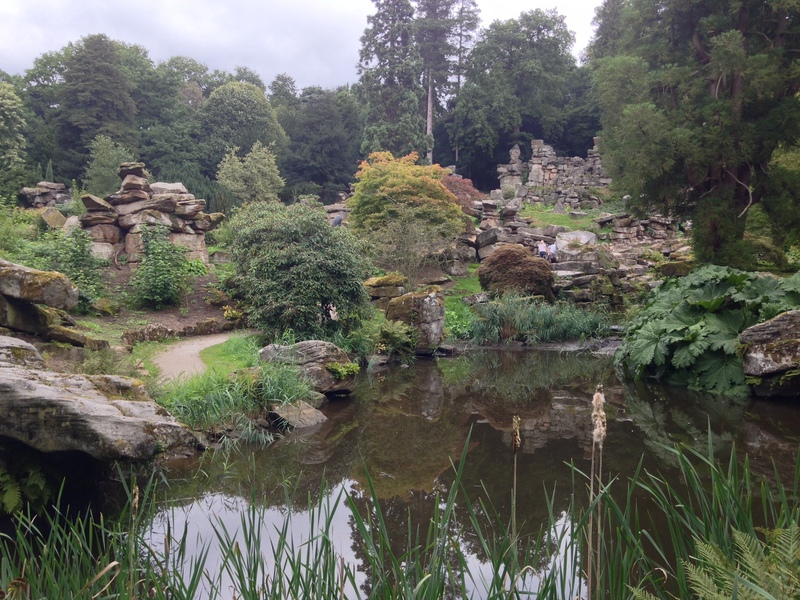 The great rock garden at Chatsworth, designed by Joseph Paxton, is one of the most amazing examples of Victorian garden design. We have recently carried out archival research on its development to inform new planting proposals being developed by Tom Stuart-Smith. 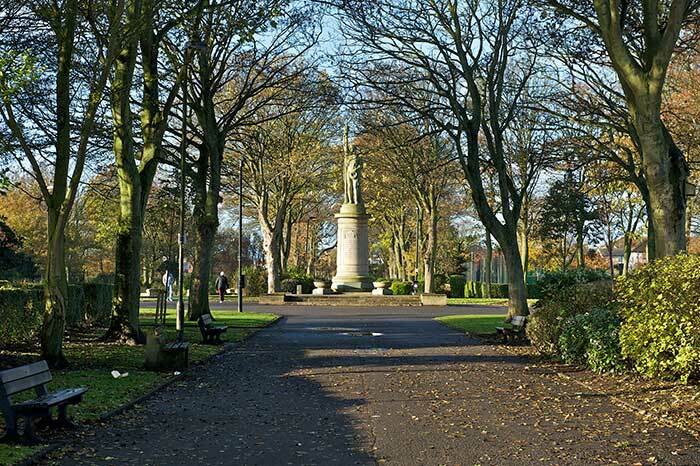 As part of marking the 1914 centenary, English Heritage commissioned David to explore the legacy of public parks and gardens created as war memorials. This has resulted in a new publication in the EH series, Introduction to Heritage Assets. There is a much larger number of such sites than previously thought: although modest in design terms and rarely designed by major figures, they vividly illustrate the contemporary sentiment which eschewed monuments and statues, in favour of a memorial which looked forward in providing for the living rather than backwards in focussing on the dead. The research was largely a desktop exercise but took in some fascinating site visits as well as investigation of archival material at the Imperial War Museum, the Landscape Institute and the British Library. 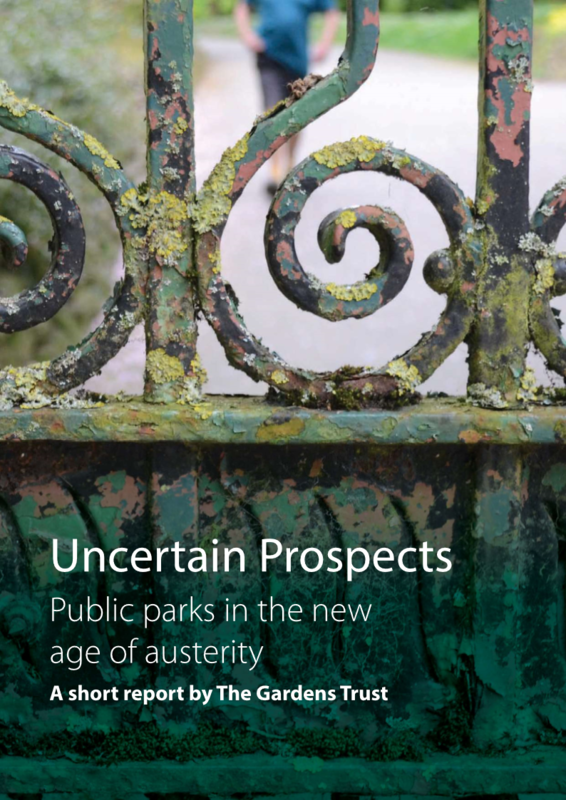 Uncertain Prospects: public parks in the new age of austerity, was published by the Gardens Trust to coincide with the recent select committee inquiry into public parks. David, who is a board member of the Trust, worked with the author Dr Katy Layton Jones to edit the text and source the illustrations. 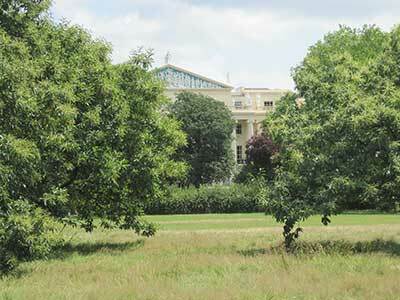 Following on from historical research on the communal gardens of the great Nash terraces at Regent's Park, carried out for the Crown Estate Paving Commissioners, we have recently worked with the CEPC to prepare guidance on the historic planting of the gardens. 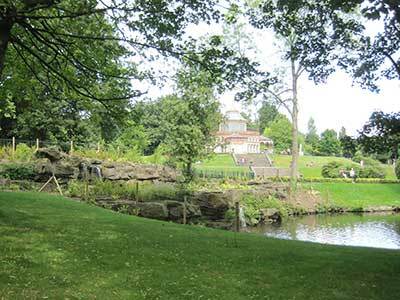 The bulk of the two-stage restoration of Mesnes Park is now almost complete, and displays a wonderful range of Victorian park features: the magnificent central pavilion – Wigan’s own Taj Mahal - and bandstand are complemented by the reconstruction of the Coalbrookdale fountain, the restoration of the Pulhamite cascade, a fine bronze statue of Sir William Powell, the lodge and entrance gates, and formal Italianate planting. This ensemble makes it an absolute gem of a park. Other smaller restoration projects are enshrined in a ten-year masterplan. As HLF monitor, David has been part of the team over a six-year period and was instrumental in securing a second grant to continue the first phase of work. This project saw the reinstatement of a “beach”, a much loved and lamented lost feature that had provided pleasure for generations of Londoners. The park infrastructure was renewed, and redundant buildings in the Palace grounds were brought into community and educational uses. The original plan paid insufficient attention to an extensive run of terracotta balustrading which embraced the core area and which had become semi-derelict. As a result of Stewart’s intervention, the Council discovered sufficient material of the same pattern in store to refurbish this feature. Its restoration has done much to re-establish the park’s historic character and appearance. 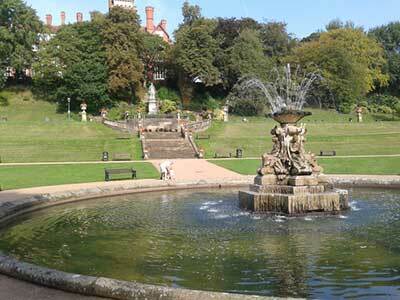 Grosvenor Park was the first park completed to the designs of Joseph Paxton’s protégé, Edward Kemp. Characterised by the dark pink sandstone of its lodge and gate piers, and the prodigious topiarised hollies along its axial walks, it had however lost any sense of its wonderful location on a bluff above the river Dee. At the outset of the project David urged that the Council appoint a specialist lead-consultant, which helped to ensure high quality design; he also encouraged the commissioning of a report on Kemp’s planting which resulted in some fascinating new archival material being unearthed. The park has been comprehensively repaired: careful removal of trees has opened up the views which were fundamental to the location; the lodge has been restored and converted into a tea room, and a beautiful new pavilion designed by Purcell architects, has been sensitively fitted into the historic landscape. A new play area beside the restored lake and a lively events programme has ensured that the park will be at the heart of Chester’s green space for another generation. The historic landscape surrounding Bracknell’s popular and thriving arts centre had been neglected and was looking worn-out. 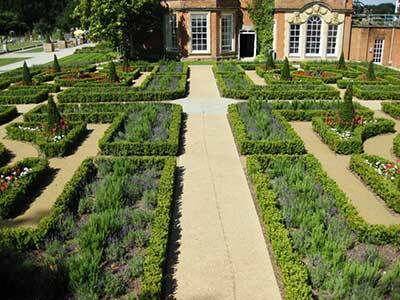 This project restored the south-facing terrace, the Italianate Garden and park sculptures as well as clearing and replanting ornamental woodlands and providing new play facilities and seating. Stewart successfully lobbied the council to complete the House forecourt with replacement ornate gates and railings to the historic design seen on old photographs. The House has now been superbly reunited with its historic setting. 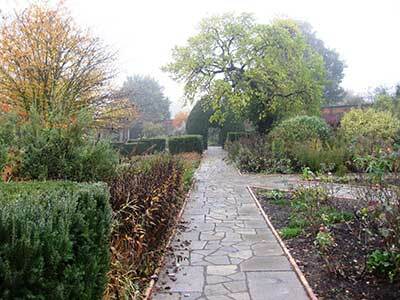 The HLF project at the War Memorial Park in Coventry has resulted in recognition of the park’s exceptional importance. 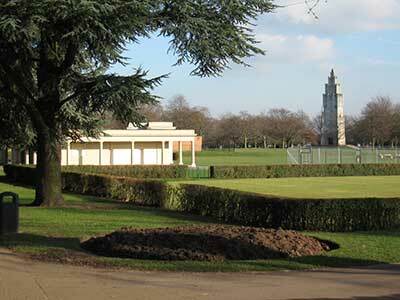 As the premier park in the city, it had always been valued locally, but after research by Dr Christine Hodgetts as part of the HLF scheme, David was instrumental in securing its addition to the English Heritage Register of parks and gardens as a first-class example of a war memorial landscape. Its giant Portland stone memorial, built in a monumental Art Deco style, has also been listed along with its sequence of more modest park pavilions.The 1914 centenary has seen the restoration project receive national publicity. 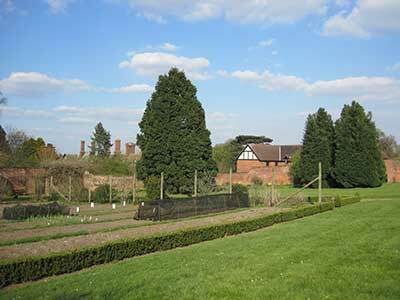 Together with James Fox of Todd Longstaffe Gowan’s landscape practice, the Parks Agency took on the formulation of a ‘vision’ for the walled garden in the public park at Allesley. Working closely with the two community groups involved in the garden’s maintenance and with the Council as owner, we engaged for over a year in an enjoyable sequence of meetings, teasing out issues and developing a design. The garden is valued by people for many different reasons and the challenge was to forge a consensus about design and future management. James and David brought fresh eyes and thinking to what had become a bit of a stalemate and, with the help of all concerned, were able to come up with a scheme to which everyone was happy to sign up. “Vicky Park” was the jewel of London’s East End for 150 years but had fallen on hard times. An imaginative £12 million project, designed by LDA-Design, saw the restoration of the park’s infrastructure and features. 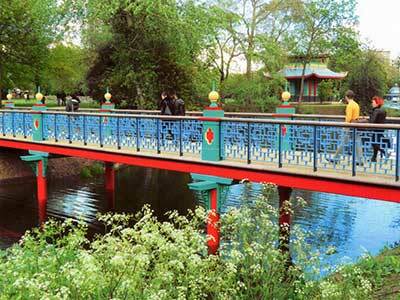 Stewart successfully pressed for the reinstatement of the fabulous Chinese Pagoda (demolished 1960s) and the construction of a never-built Chinese Bridge to James Pennethorne’s original 1849 design. 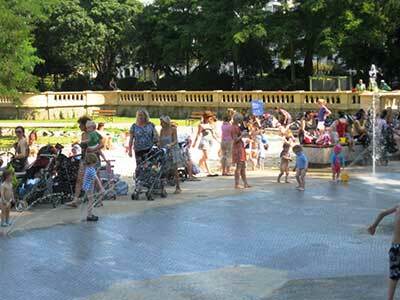 Following the restoration project Victoria Park won the national People’s Choice favourite park award in 2012. One of South London’s major parks, Brockwell Park has been comprehensively renewed with an exciting playground, water-play area and a beautifully restored walled garden. A temple, shelters, community greenhouses, a series of ornamental ponds and railings and gates have all been returned to their former glory. Stewart worked closely with the designers, Land Use Consultants, the Council’s team and the contractors to achieve high standards in this very popular and well-used park. 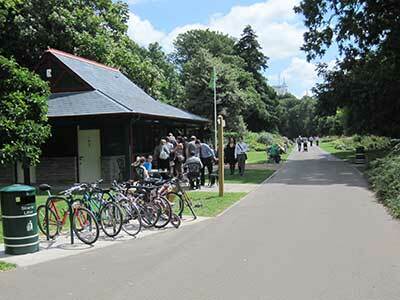 Restoration of the grade I Bute Park in the heart of Cardiff next to the Castle has been completed in 2014. A comprehensive scheme has seen the built and planted fabric repaired and renewed, along with a new cafe by the bridge over from Sophia Gardens, and a new education building in the walled garden. Cardiff’s tradition of horticultural excellence can be seen in the herbaceous border and in the presentation of the park’s unique collection of specimen trees. The restored West Lodge is now occupied by the delightfully eccentric Pettigrew Tea Rooms. The park is exceptionally well-used and is also the venue for a wide range of activities, including the annual RHS show, and David insisted that the City Council appoint a park manager as the key to its future. 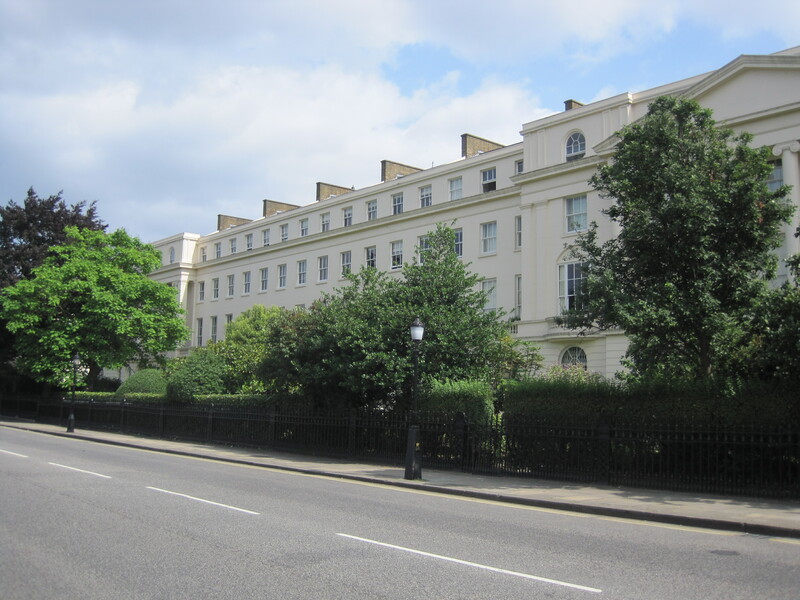 David is currently working with Todd Longstaffe Gowan on a strategy for the Crown Estate Paving Commission, addressing the communal gardens of the Nash terraces and the roads which circle the Royal Park. Nash designed a complete landscape of buildings, circuit drive and parkland with views flowing across and between all three elements. Over the years, the original unity has been eroded and interrupted - by traffic, tree growth and screen planting and by divergent management aims - and the new strategy seeks to restore that original vision.